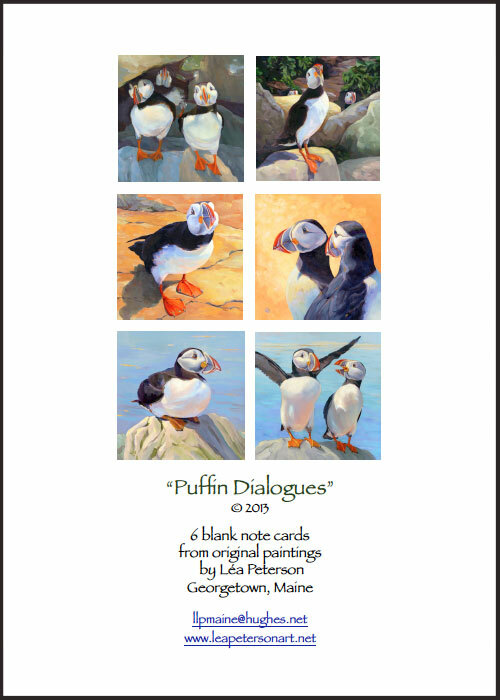 Limited edition, fine art giclée prints are available for some of my paintings. 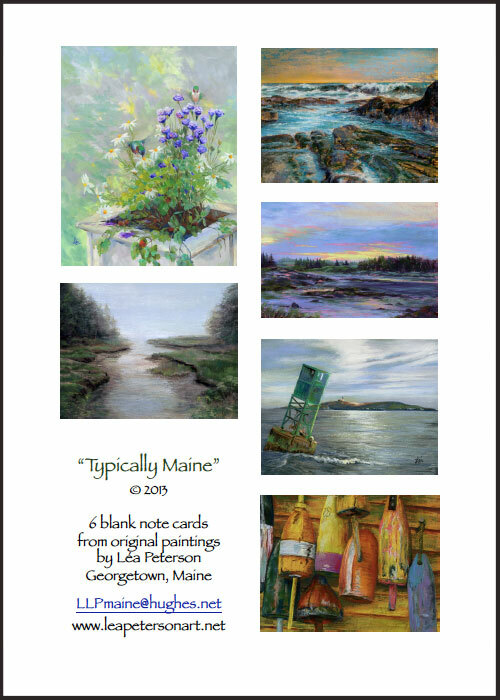 Simply send me an email (llpmaine@hughes.net) to inquire whether a specific painting is available in print form. The signed, limited edition reproductions are printed on archival paper stock--Hahnemuhle William Turner, 310 g/m2 Natural White, genuine mould-made 100% rag. Prints are available in two sizes: either 11" x 14" for $50, or 13" x 19" for $70. 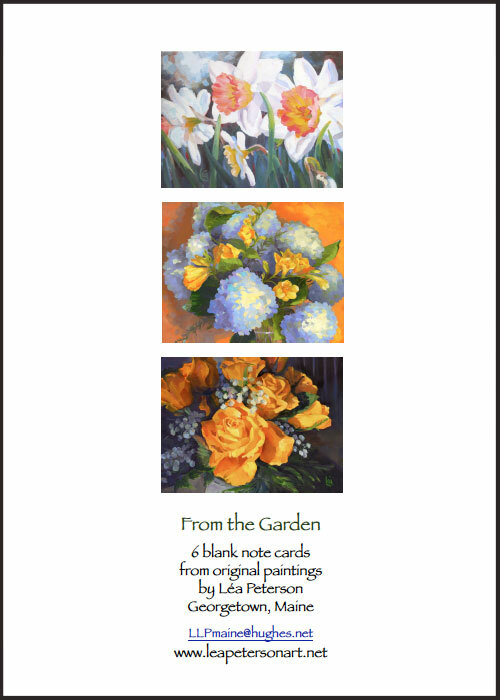 Fine art blank note cards are also available in boxed sets of 6 to 10 blank note cards and envelopes per set. Samples of the box sets are shown below. 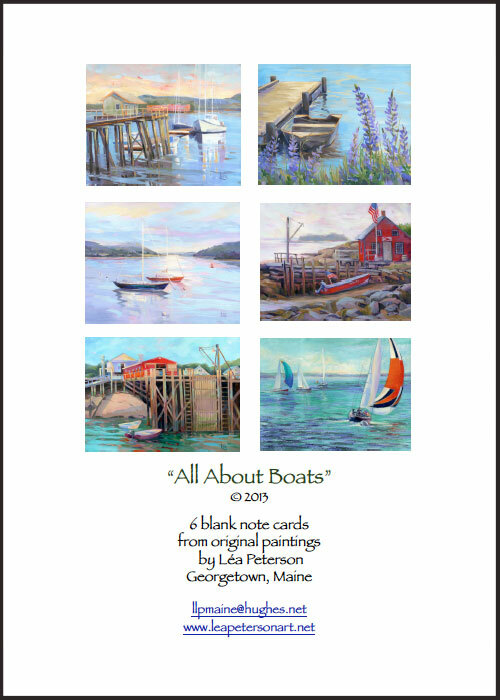 The cards are giclée prints on an archival 80 lb. matte stock. Depending on the number of cards, the price ranges from $25 to $35 per box, plus shipping. Holiday card boxes are also available, with 10 cards per box, for $30 per set. 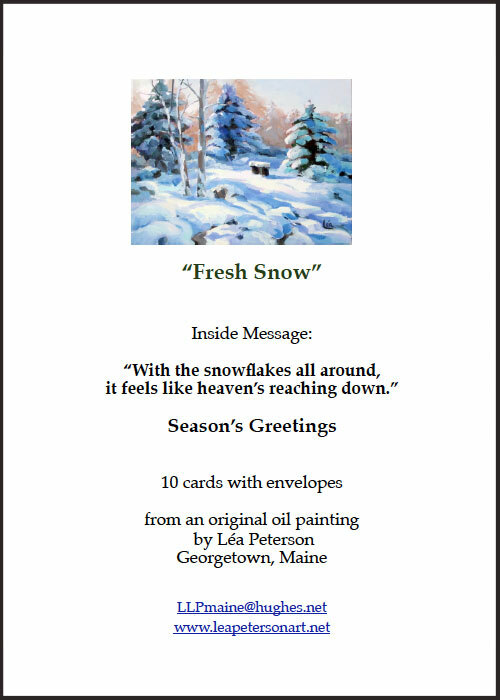 Each card box has a unique holiday greeting and uses one of 8 winter painting images: "Snow and Ice", "Last to Leave", "Christmas Cactus", "Snowfall", "Just a Snow Shower", "Fresh Snow" (shown below), "December Dock" or "Winter in the Cove".